Derrick Kosinski & Scott Yager are joined by Jemmye Carroll. One of our favorites, Jemmye Carroll (@JustJem24) to walk us through everything going on in the Challenge world. This interview went so long that we decided to break it into two parts. Here in Part 1, Jemmye explains some of her recent twitter altercations and comments and takes YOUR questions! Check back tomorrow for Part 2 of our chat with Jem! 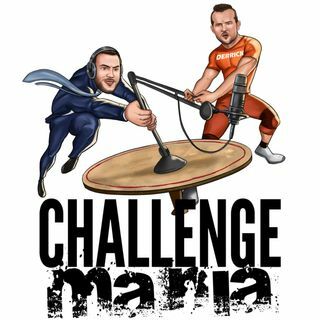 This Sunday, January 6th you can win tickets to the Challenge Mania Live event of ... See More your choosing AND $1500 in travel expenses to get there, courtesy of DraftKings! Head to dkng.co/challengemania to play. T&Cs apply. See site for details.